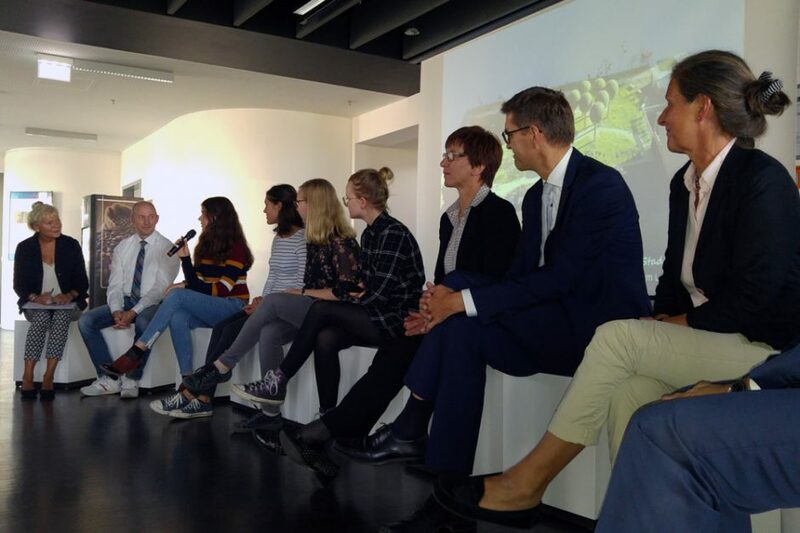 As participants in the European Heritage Site Year “Sharing Heritage” 2018, the city explorers of the art class 11th grade at the Leibniz Secondary School Potsdam together with project support Alexander Paul were confronted with the Old Market and its surroundings. 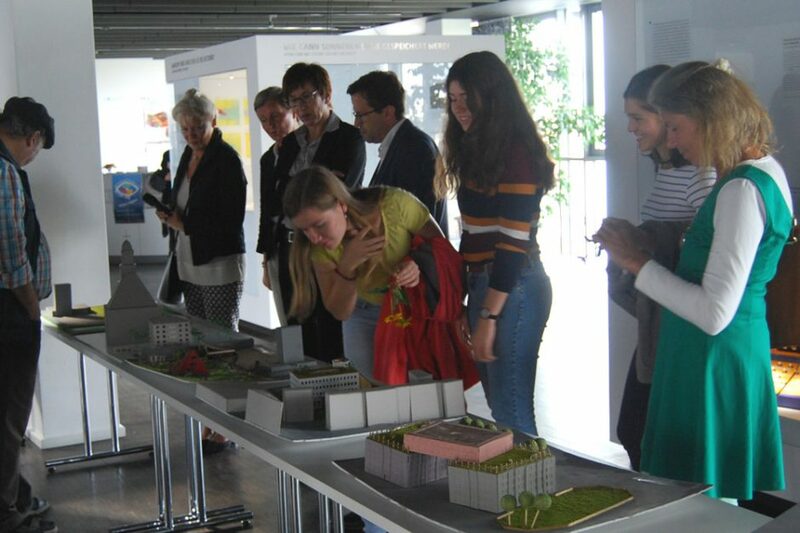 With the selection of this topic, which has been in the public focus for 30 years, the students were required to deal more intensively with the history of the buildings which shape the city center in class. Thus, the topic of architectural history, which was already part of the syllabus, led to lessons on the spot where the students were able to get acquainted with different approaches to dealing with the cultural heritage of true-to-original, critical or post-modern reconstruction. Also the fact that most of the Potsdam buildings are not Baroque originals but copies of the Italian Renaissance. The different ways in which city planners dealt with urban space through the ages also met with great interest. For the subsequent work phase in the regular art class, both the range of places chosen by the students and the different approaches impressed. Common to all works is a pragmatic, sustainable use of existing building substance and the claim to create new, own urban spatial qualities, whereby the students are quite open to a sensitive re-densification of the Potsdam center with well-fitting historical architectural styles. On site of the Data Center, two students loosen up the urban space between the reconstructed Garrison Church and Plantation with a residential palace – a bourgeois intervention with naturally high qualities for the residents, which could do well for the difficult topic of the Garrison Church. 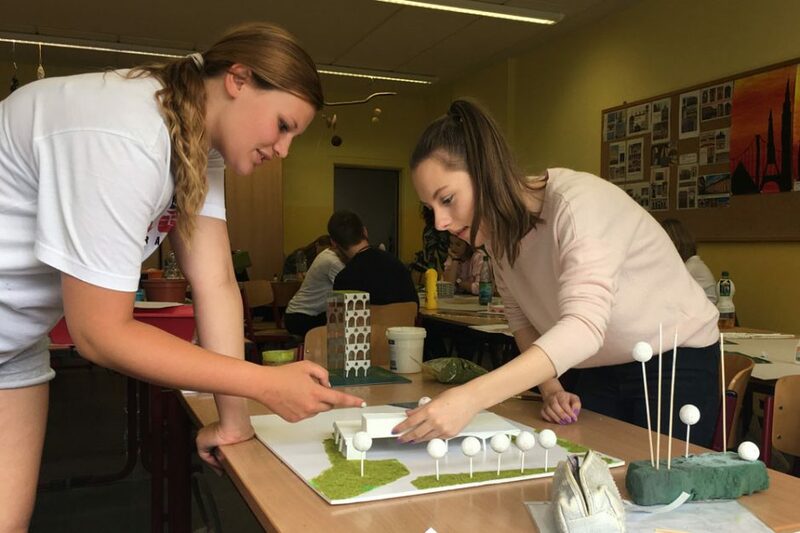 Another team decided to preserve the educational buildings and added a green campus with a multi-functional palace-like building onto the site of the former fire station. The already demolished University Of Applied Sciences was disassembled in a deconstructivist manner and remodeled as a hotel in one proposal, in another replaced by a postmodern-looking new building with space for artists and a raised, glass-covered park. The Staudenhof prefabricated residential house is to be renovated with a green, massive wooden facade and glazed narrow sides – a thoroughly sustainable proposal. The recently remodeled Lustgarten was not able to convince the students during the city walk, so two works dealt with this area. One suggestion complements an open-air stage, sports fields and a group of trees, another proposal sets a new structural accent with a half-open Renaissance dome, which is completed by the treetops of a small forest offering a space of retreat, silence and untamed nature in the heart of the city. For the unloved Mercure hotel, two students succeed with the feat of staging the building as a Renaissance palace and making it disappear completely at the same time, depending on the angle of view. The model can be read both as an ironic commentary on current urban planning as well as a serious approach to the reconciliation of diametrical positions in the city society as well. 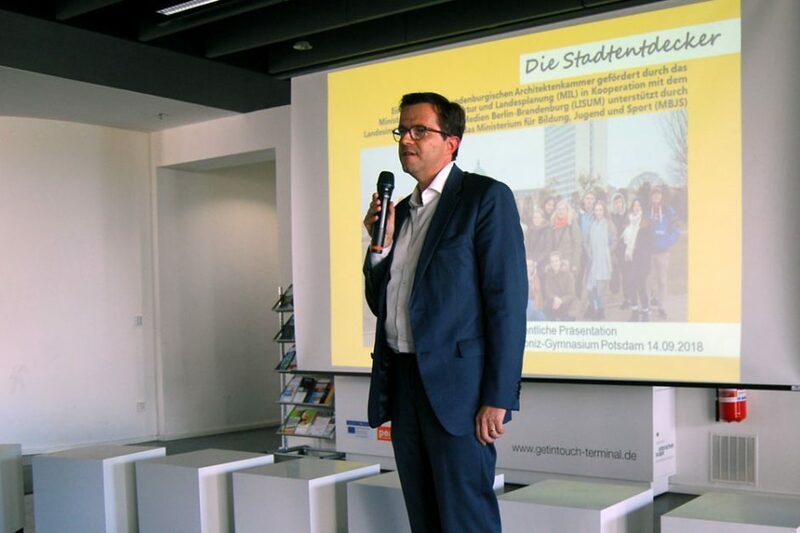 At the public presentation and subsequent city exporer talk with infrastructure Minister Kathrin Schneider and Chamber President Christian Keller in the Educational Forum, the students convinced with their presentation of multifunctional concepts of use with space for artists, students and the entire city society as well as enthusiastic commitment with the topic of sustainable building. For all who have missed this interesting afternoon, there will be the opportunity to see the concepts in an exhibition next spring at the same place in the state library.